Part 1 will offer an overview and introduction to the blog series. Part 2 will discuss uses, types, drives, and the selection of pull rolls. 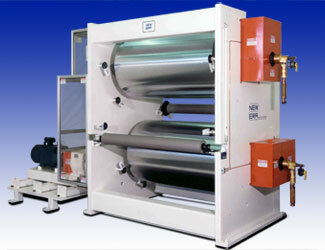 Part 3 will go through various considerations when selecting heating/cooling rolls. Part 4 will continue with a consideration of accumulators, their uses, and design considerations and features. Part 5 will wrap the series up, finishing with web turns and web flips, and then offer a brief Conclusion. A key requirement of every web processing line is the ability to properly handle and convey the web among the various machine sections. Though much time is typically spent focusing on the unwinding, winding, coating, drying, laminating and embossing sections, typically very little time is spent on the equipment sections that are required to allow for the proper handling and conveying of the web from section to section. In this presentation we will discuss the equipment that is required to allow for the above to occur. *That concludes part 1 of our 5 part blog series, “Selecting the Proper Web Handling Equipment” – click here for part 2!